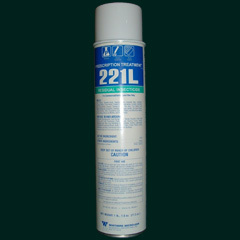 PT 221L is a powerful Aerosol Residual Insecticide from the Prescription Treatment brand that is labeled for Ants, Booklice, Boxelder Bugs, Carpenter Ants, Carpenter Bees, Centipedes, Chocolate Moths, Clover Mites, Cluster Flies, Cockroaches, Crickets, Dermestids, Drug Store Beetles, Earwigs, Elmleaf Beetles, Fire Ants, Flour Beetles, Grain Weevils, Millipedes, Scorpions, Silverfish, Sowbugs, Spiders, Springtails, Above Ground Termites, Ticks, Trogoderma (Cabinet, Khapra and Warehouse Beetles), Wood Infesting Borers and Beetles, and Wood Wasps. All these bugs in a tiny 17.5 oz aerosol can! 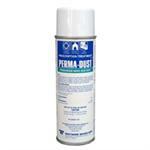 The power seen from this Prescription Treatment aerosol insecticide is rivaled in the business! Would you like to see the PT 221L Label? How about the PT 221L MSDSsheet?